The fashionable male may be making a comeback, but early fashion trends centered around what men-not women-were wearing. 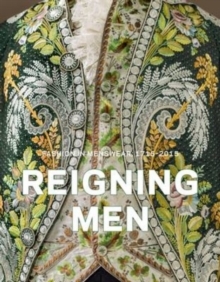 This intriguing book traces the history of men's fashion since the 18th century, when young Englishmen imitated foreign dress and manners as they toured the European continent. The term "macaroni" is only one of many explored in this book in sections titled "Revolution/Evolution," "East/West," "Uniformity," "Body Consciousness," and "The Splendid Man." In addition to the numerous illustrations of extant menswear, the book's vibrant photos capture the 19th-century dandy, a more restrained brand of expensive elegance which became the hallmark of Savile Row; the post-WWII mod, who relished the colourful and modern styles of Carnaby Street; and the 21st century man-ultra-chic in a sleek suit by day and wearing a flowered tuxedo by night. 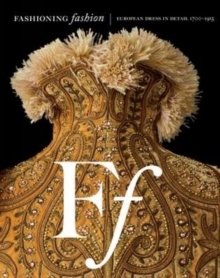 Throughout, this book makes illuminating connections between history and high fashion, traces cultural influences over the centuries, examines how elements of the uniform have profoundly shaped fashionable dress and reveals how women aren't the only ones who cinch and pad their bodies.Beautifully produced, lavishly illustrated, informative and eye-opening, this book will certainly appeal to men and women alike.